In house, you should be focused on some key metrics of your own too: Financial KPIs. 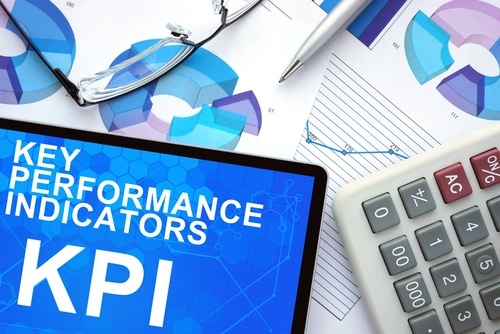 Financial KPIs are the key performance indicators that tell you how well your business is progressing towards its goals - using cold hard data rather than gut feel. It’s not uncommon for creative agencies to have one or two major clients bringing in most of the cash, and a number of smaller ones bringing in considerably less revenue. Becoming overly dependent on one client can cause problems though. Break down your revenue by client, and set targets to achieve a healthy balance that reduces your commercial risk. Essentially a measure of your staff productivity, revenue per head shows how much money each member of the team brings in. This financial KPI makes a great basis for target-setting among your staff. In large agencies with a sizeable workforce, small increases in the revenue per head figure can make a big difference to your bottom line - so use the data to identify opportunities to boost productivity. This could be through implementing new time-saving technology, or establishing staff incentives. In a creative agency, your staff (and their brilliant minds) are your most valuable asset - so naturally you’ll pay your talent well. But to run a successful business, you need your income levels to merit that high staffing cost. This financial KPI effectively tells you how efficient your staffing budget is. For instance, if you’ve got high-earning art directors and senior designers working on low-value projects for any period of time, the data might not make happy reading. Could it be better to employ new employees to handle the lower value work, and free up your big earners to bring in the big fees? Last but not least in our list of financial KPIs for creative businesses comes operating profit per head. This figure combines the two previous KPIs to provide another key metric that you can set business targets against. If your profit per head is down (but revenue up) it indicates over-spending - and gaining control of your wage bill and other agency costs could be the key to a better bottom line. There’ll be plenty more creative business financial issues discussed on the blog over the weeks and months to come, but if you’d like to discuss financial KPIs or any other accountancy issues with us in the meantime, please just drop us a line.